State Congress chief Girish Chodankar says Goa is facing "constitutional crisis" due to absence of Manohar Parrikar and two more cabinet ministers. 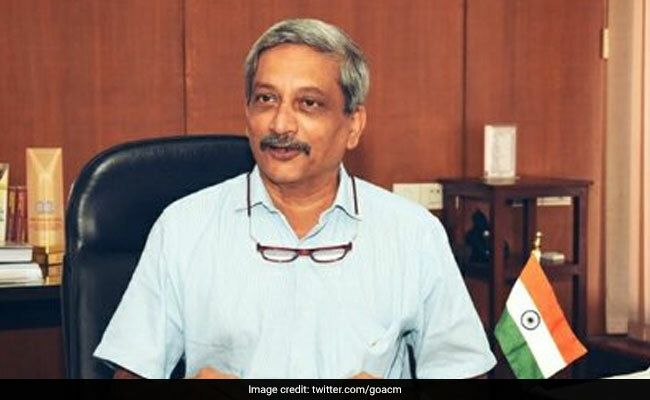 The Goa Congress today took exception to Chief Minister Manohar Parrikar going to the US for indigestion treatment and sought Governor Mridula Sinha's intervention to prevent the collapse of governance in the state. State Congress chief Girish Chodankar said the state was facing a "constitutional crisis" due to the repeated absence of Mr Parrikar and two other cabinet ministers, who are also suffering from severe ailments. Mr Chodankar, who met the Governor, said since the medical expenses of the three were being met at the expense of the state exchequer "the people of Goa should be made aware of the exact nature of ailments." "It cannot be believed that the state is being burdened with hefty bills for mere treatment of 'indigestion'. Also, this does not bode well for the medical care facility and the medical fraternity available in Goa. "Does the government desire to claim that its reputed Goa Medical College is unfit to treat a case of 'indigestion'?" Mr Chodankar said in his petition to Mr Sinha. On Thursday, Mr Parrikar returned to Goa from the US - his third visit in six months - where he is being treated for advanced pancreatic cancer in a New York medical facility. The Chief Minister's Office, however, has maintained that Mr Parrikar was suffering from a pancreatic ailment and went to the US (for the third time) as he had been experiencing indigestion. Mr Chodankar said the state administration has "collapsed" due to the series of illnesses which have crippled the cabinet. He has decried the fact that Mr Parrikar has not even bothered to delegate responsibility in his absence. "While the chief minister has been away, he has not even found it necessary to hand over acting charge of the Ministries held by him to any of his cabinet colleagues." "It is not only unprecedented but surely most high handed, autocratic and undemocratic which has only led to the complete collapse of the state's administration," Mr Chodankar said, alleging that Mr Parrikar did not trust his own cabinet. Apart from the chief minister, two of his cabinet colleagues - power minister Pandurang Madkaikar and urban development minister Francis D'Souza - are also ailing. "D'Souza is reportedly in the US and Madkaikar is in a Mumbai hospital. The state administration cannot afford to keep cabinet colleagues on ventilators and continue to pay for their medical expenses. "Surely the cabinet status is not a launch pad to get free medical aid at the cost of the state," Mr Chodankar added. Urging Mr Sinha to be proactive, the Congress leader said: "Since you are constitutionally the repository of power in the state, it requires that you take affirmative action as the Governor. "As being done by your counterparts in several non-BJP ruled states..., Else, silence would not only mean that you are tacitly giving your approval to this sordid state of affairs but also failing to uphold the Constitution and its values".